Electric vehicle (EV) drivers in London, UK will soon be able to access 1,500 new EV charging points across the city thanks to a £4.5 million investment announced by London Mayor Sadiq Khan. The residential charge points being installed across 25 London boroughs are aimed at Londoners currently without access to off-street parking, in a bid to try and encourage more citizens to transition from polluting fossil-fuel vehicles to new zero-emission vehicles. They will add to the rapid charging points that Transport for London (TfL) is already installing, the full complement becoming available for drivers by 2020. “We have a bold ambition to make London’s transport system zero emission by 2050, and working with boroughs to roll out more charging infrastructure is a vital part of making this a reality”. But it’s not only in London that momentum towards an electric vehicle future is increasing. Auto Express reported recently that the Government is to pass a new bill requiring motorway and major fuel stations to install charging points. 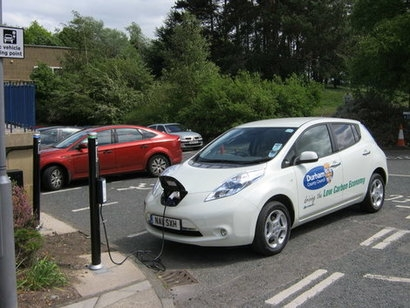 The Automated and Electric Vehicles Bill was announced in the 2017 Queen’s Speech. It also requires easy access to charging points, establishing a seamless network of points across the UK that conform to the same technical standards.